Today’s main news: RateSetter to break even in 2019. Revolut sees top line revenue jump 5 times. Orca Money surpasses 500K funding target on Seedrs. Revolut to enter Singapore. Prodigy Finance raises $1B. Today’s main analysis: Understanding Renaud Laplanche’s next act. Are fintech lending booms a good thing? Today’s thought-provoking articles: Whose problem is student debt? Peer2Peer Finance News annual survey. The rise of app-only banks in Europe. Whose problem is student debt? Student debt is over $1.5 trillion, but almost half of students borrowing are expected to default. Who’s really going to pay for these loans? Q3 securitization update. From PeerIQ. Eight marketplace lending securitizations are expected to price this quarter. We are poised to enter 2019 with record levels of securitization. Understanding Renaud Laplanch’s next act. This is an excellent read. Seemingly about Upgrade, it’s really about more than Upgrade. Libby Leffler first turned down a job at Facebook; now she is VP of membership at SoFi. Kathryn Petralia’s strategy for building Kabbage. Cortera receives $10 million in funding. Will unregulated fintech lead to the next market crash? Interview with Matt Humphrey of LendingHome. Joydrive expands into New York. Digital Recognition Networks has a new unit that helps clients be strategic. RateSetter to break even in first half of 2019. Revolut sees 5x jump in top-line revenue. Orca Money surpasses 500,000 funding target on Seedrs. Congratulations. Peer2Peer Finance News annual survey. Prodigy Finance raises 760 million GBP in debt finance. Cleo picks up $10 million. Funding Options receives 5 million GBP for international expansion. Suss tells of delight at NatWest. Thincats raises 300 million GBP. How to invest in equity of P2P lending marketplaces. InvestX raises $25 million using larger SMEs. blockchain tech. Klarna launches pay later service with In The Style. App-only banks in Europe rise up. Are fintech lending booms a good thing? A must-read report from the Bank of International Settlements. Global Debt Registry expands structured credit blockchain offering across asset classes. Prodigy Finance secures $1 billion. Cred lands $200 million credit facility. Singapore: Revolut to move into Singapore. China: The growing threat of private companies. India: Qbera receives $3 million. Australia: Only system removes broker barriers. Australia: SocietyOne warns against credit cards. It does sound pretty bad. Student debt surpassed $1.5 trillion earlier this year, and it’s estimated that nearly 40 percent of borrowers will default on their student loans by 2023. But talks of a collapse are not marrying up with performance and other data. Prospects for graduates are rosier than they have been in some time, with unemployment at around 3.9 percent – the lowest level since 2000. And, by some reports, student loan delinquencies are the lowest they’ve been in more than 10 years. The Fed’s latest survey on household wealth showed that total net-worth of American households rose by $2.19 Tn QoQ to nearly $107 Tn, driven by rising equity and home values. Household debt grew by 2.9% YoY to $15.4 Tn with consumer credit growing at 4% YoY. Consumer credit growth continues to propel GDP growth, undeterred by rising interest rates. Eight marketplace lending securitizations are expected to price this quarter totaling $3.5 Bn, the fifth-highest level of quarterly issuance, representing 35% growth YoY. To date, cumulative issuance equals $41.9 Bn across 134 deals. All-in spreads tightened, and all-in yields fell on new issuance this quarter. 2018Q2 was the first quarter where we observed higher all-in costs for issuers driven by rising front-end interest rates and ever-increasing ABS supply, breaking the trend of non-stop spread tightening. This quarter, weighted average all-in yields on consumer deals decreased from 4.2% to 3.4% QoQ, and on student deals from 4.5% to 3.5% QoQ. Average spreads at issuance are tighter in the consumer and student spaces across credit tranches, except on D tranches of consumer deals. New issue spreads in the consumer MPL space were tighter across the stack, with the spreads on As tighter by 15 bps, Bs tighter by 7 bps, Cs tighter by 1 bps, but those on Ds wider by 15 bps on average QoQ. New issue spreads in the student MPL space were tighter across the stack, with the spreads on As tighter by 72 bps and those on Cs tighter by 200 bps on average QoQ. In 2008, Libby Leffler was offered a job at Facebook. A few weeks later, Leffler called Facebook back and said she’d had a change of heart: She wanted the job. Today, Leffler is the vice president of membership at personal finance company SoFi. She spent about seven years at Facebook, then left in 2015 to attend Harvard Business School. In 2010, the financial services data and technology platform launched with 50 customers on its platform — and a few headaches. There was one in particular that she had to contend with right out of the gate. At the end of July, the Office of the Comptroller of the Currency (OCC) announced it would accept applications from fintech companies seeking a national bank charter. At the same time, states are wooing fintech companies to charter with them instead, and just last week the Conference of State Bank Supervisors said it intends to suethe OCC over its authority to issue national bank charters to fintech companies. Sunrise Toyota and Sunrise Chevrolet announced today that they are partnering with national marketplace Joydrive to offer New York consumers a new way to buy vehicles 100% online — no dealership visit necessary. At no extra cost, customers can complete their entire transaction online—from trade-in to financing, get their car delivered to their door, and use a 5-day return period to make sure they love it. Both Sunrise dealerships join a rapidly growing list of the most prestigious dealers around the country, all eager to offer customers a chance to buy their next car from the comfort of their home. Joydrive’s roster of innovative dealers has grown in nine months from 1 dealership in 1 state to 50+ dealerships across the country and now includes the #1 Chevrolet dealership, the #1 Chrysler Dodge Jeep RAM dealership, and the 3rd largest pre-owned dealership in the country. Digital Recognition Network (DRN), an AI and data analytics company that provides vehicle location data and analytics to auto lenders, insurance carriers and other commercial verticals, today announced the creation of its new Client Services Unit – as part of its FinTech Division – to help its clients to be more strategic. The Client Services Unit provides its clients with consulting services, on-site training and monthly reporting, so they can gain greater insight into DRN’s vehicle location data (a.k.a. automated license plate recognition (ALPR) data) and leverage the data to drive results. Using the monthly reporting capabilities, the Client Services Unit conducted a review of its clients’ usage and performance from January 2018 to August 31, 2018 and found that DRN’s auto lending clients receive a 193 percent average return on their investment from the suite of products in DRNsights. DRN’s FinTech Division helps auto lenders, ranging from local credit unions to top 100 auto finance companies, mitigate risk via DRNsights, its suite of products that combines DRN’s exclusive vehicle location data with analytics to provide new locations for targeting assets. RATESETTER expects to break even in the first half of 2019, excluding spending on investor advertising. The peer-to-peer lender is currently in the red, but told investors at a Q&A session that the gap is closing in line with its forecasts. “Reaching profitability is important but this is balanced with the importance of longer-term investment (i.e. we may choose to invest more in the short-term which will repay over the longer-term),” RateSetter said in a blog post on its website, summarising points covered during the Q&A session. RateSetter was profitable in the financial years ended 2014 and 2015, but fell into losses since then, as it has invested in scaling up the business. UK based digital challenger bank Revolut is reporting 2017 numbers and according to the Fintech revenue has increased 5X from £2.4 million to £12.8 million as monthly transaction volume jumps from $200 million to $1.5 billion. Revolut also reported a loss for the year of £14.8 million. The number of customers banking with Revolut increased from 450,000 to 1.3 million. Revolut states that rapid growth is important but the key focus for the company is expanding the banking service into international markets while adding new features for their users – such as commission free trading. Currently, Revolut says it is expanding into 10 international markets and it has applied for a European banking license. Revolut is expected to launch in the US market at some point in 2018 but the platform has yet to explain its roll out timeline. Orca Money, a UK-based P2P investment aggregation platform, has successfully secured its initial £500,000 funding target just days after launching its equity crowdfunding campaign on Seedrs. Founded in 2015, Orca Money stated it serves two functions, which are its investment solution that enables investors to diversify capital across multiple, major UK peer to peer lending platforms, all from one place. The company noted its research service provides fact-based, no-nonsense analysis on the UK P2P market. The P2P platforms pay us referral fees on each lender account that we refer. The user pays us a % of the invested funds on an annual basis. Orca also revealed that for two years it has provided market leading research on the P2P market, which has built an organic user base of P2P investors (avg. 6,000+ monthly web sessions and 2,000+, compliant subscribers). The platform noted it currently integrates with 5 UK P2P platforms with 11 more in the sales pipeline. THE 2018 Peer2Peer Finance News annual survey comes at an interesting time for the sector, with the long-awaited release of the Financial Conduct Authority’s (FCA) post-implementation review and an economic environment dictated by Brexit and interest rate speculation. The majority of industry professionals surveyed do not expect borrower rates to decrease. 41.67 per cent of respondents predicted rates to go up in 12 months and another 41.67 per cent said there would be no change, while just 16.67 per cent said rates would increase. On the other side of the P2P spectrum, investors may already be getting decent returns from P2P, but just 25.53 per cent of industry respondents expect rates to increase over the next 12 months. Another 25.5 per cent expect investors’ rates of return to go down and 48.94 per cent said there would be no change. This approach to rates may be reflective of increased default expectations and more economic uncertainty amid platforms. Almost two thirds, 62.5 per cent, said they expected defaults to increase over the next 12 months, and a similar 66.67 per cent said they expect the wider credit markets to tighten. UK-BASED peer-to-peer lender Prodigy Finance has secured $1bn (£761m) in available debt finance as it aims to expand its student funding programme. The financing primarily consists of $900m from institutions including Deutsche Bank, Goldman Sachs, M&G Investments and Sumitomo Mitsui Banking Corporation. Other investors include schools, family offices and high-net-worth individuals participating in Prodigy Finance’s international bond programme, which was distributed by Credit Suisse. Prodigy Finance, which shares backers with ‘big three’ P2P lenders Zopa and Funding Circle, provides education loans to international students attending top universities around the world. Funding options can be limited for these students, particularly for those coming from emerging markets. It plans to use its latest fundraise to expand its offering to more students worldwide, particularly in the field of engineering and at US universities and colleges. NEBEUS, the cryptocurrency peer-to-peer lending platform, has launched a £1.1m crowdfunding campaign on Crowdcube. Funds from the campaign, which has already raised over £400,000, will be used to obtain an e-money licence from the Financial Conduct Authority and launch Nebeus’ services to a wider audience. The London-based fintech, which lets users trade, store, remit, lend and borrow funds by leveraging blockchain technology, aims to bring borderless banking to the two billion people across the globe who it claims struggle to access banking services. Nebeus has facilitated £1.9m of P2P Bitcoin loans since its platform went live at the end of 2017. Funding Options, a UK Fintech that provides a “supermarket” of financing options for SMEs, has received a £5 million investment from ING Ventures – the VC arm of the global bank. The additional capital is expected to be used for Funding Options to expand its services internationally. In June 2018, Funding Options announced its expansion into the Dutch SME finance market, in partnership with ING. Funding Options claims to be the UK’s largest online marketplace for SME finance, linking lenders with businesses across the UK to provide over £100 million of funding to thousands of firms each year. Currently, Funding Options says there are 50+ active finance providers on platform such as challenger bank loans, P2P lending, asset finance and leasing, and invoice finance, among others. Funding Options is also a major contributor to HM Treasury’s Bank Referral Scheme, in which SMEs that are turned down for bank lending are referred on to designated platforms for alternative finance options. Shaheer Guirguis, Head of Secured Finance at Insight Investment, explained that their strategy is to seek compelling assets to provide clients with complexity premium above comparable corporate credit securities. Their partnership with ThinCats represents such an opportunity – specifically in SME lending. In this article I will look at the p2p lending services that have used British equity crowdfunding platform Seedrsto raise money. Some of these p2p lending company funding rounds have taken place years ago, but the interesting point is that Seedrs has a secondary market and new investors can buy shares from existing investors that invested earlier through Seedrs. The secondary market opens every first Tuesday of a month (next on Oct. 2nd) and stays open for a week. Some of the shares on offer are in high demand and often sell out within an hour. If you’d like to buy on the secondary market you should open your Seedrs account now, as you’ll need time to verify it and deposit funds prior to the market opening. The main reason given by Wu for merging China’s private sector into the state-owned sector is that this is the only way to respond to America-led Western containment against China and fight back against U.S. President Donald Trump in the trade war. Fintech lending has grown fastest in countries with higher income, less competitive banking sectors, and loose financial regulation, the Bank of International Settlements has found in a new report. But the biggest findings in the report are what the BIS, the bank for central banks, doesn’t know: How fintech has affected borrowers, lenders, financial stability, and the economy. The rise of fintech lending is clear: The volume of loans globally vaulted to $284 billion in 2016 from $11 billion in 2013. Global Debt Registry (“GDR”) today announces an extension of the current blockchain platform offering into additional ABS asset classes. This announcement follows the company’s June 2018 launch, which focused on supporting the efficiency of lending to the $15 billion marketplace loan sector. 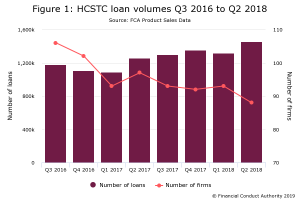 To date the company had concentrated on marketplace loans to demonstrate value and a working model and is now scaling to support banks needs across other asset classes. Today’s financing allows the company to increase its offering, particularly in the field of engineering and at U.S. universities and colleges, including those ranked by the U.S. News & World Report3. The Prodigy Finance platform now supports 245 specific engineering schools and 2,222 courses[iv], including electrical and computer engineering, data analytics, information systems, and industrial, chemical and nuclear engineering, among others; with the option of 10, 15 or 20-year loans terms and without the need for collateral, co-signer or guarantor. The financing also demonstrates that a strong debt financing environment still exists for U.K. firms like Prodigy Finance. 31% of financial services firms now believe central banks will hold cryptocurrencies on their balance sheet within the next five years. 18% expect central banks to establish their own cryptocurrency. Cred has now secured over $200,000,000 in crypto-backed lending facilities. A lender has said its use of online application system NextGen.Net has removed a barrier for brokers and encouraged them to lodge applications. Better Choice upgraded to the ‘ApplyOnline’ electronic lodgement system in July. It said the outcome of the change has been an increase in brokers being able to access the lender. Better Choice general manager sales and distribution, Natalie Sheehan, said she understood why brokers in the past had not been so interactive with the lender. When ‘it’ happens, SocietyOne urges us not to reach for the credit card. Australia’s pioneering and leading marketplace lender, SocietyOne, has launched an integrated marketing campaign to capitalize on the fast-approaching holiday season, where demand for consumer credit typically jumps with increased expenditure on festivities and gifts. The campaign, entitled “When ‘it’ happens”, highlights how even positive situations can put financial strain on even the most savvy Australians. Bengaluru-based lending start-up Qbera has raised $3 million funding from Indian conglomerate Essel Group. Essel Group has a wide variety of firms under its belt in media, tech, packaging and education. In this round, E-City Ventures, a cinema exhibition and retail real estate business, made the investment. Last year E-City invested in Finnovation Tech Solutions’s KrazyBee, an online installment store for students. That investment and this latest one clearly demonstrates E-City’s interest in the financial sector. Qbera will use the money to expand its business operations to other cities in India. The firm offers loan amounts from INR 50,000 ($692) to INR 2,500,000 ($34,500) and acts as an intermediary with banks such as Kotak Mahindra and RBL. Revolut, a commission-free trading service for stocks and other securities targeted at investors aged between 25 and 35, is coming to Singapore soon. According to the Financial Times, Revolut is one of two of the fastest-growing fintech companies in Europe aiming their products at millennials. The other is Plum.